Planning a trip to Vietnam for the first time? 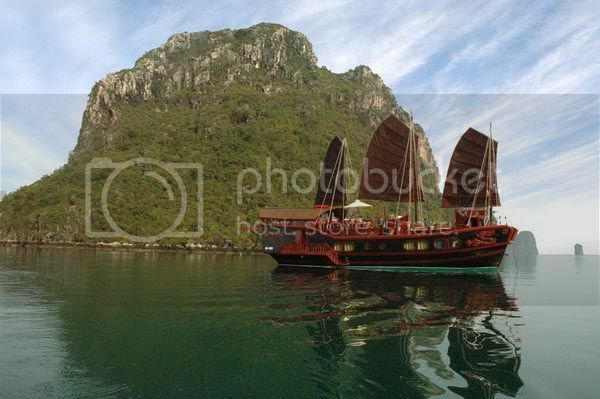 Naturally, the best way to see it all is by booking a cruise of Ha Long Bay with one of the many tour operators such as Dragon Pearl Cruise, Paradise Cruises, Annam Junk, Golden Lotus Cruise and Red Dragon Junk, all of which offer cruises (2days/1night or 3days/2night) of Halong and nearby Bai Tu Long Bay for around $200 (~4140000 Vietnamese dong). Saying this, if you’re on a budget you can easily and inexpensively organize a kayaking tour for half-day with the hotel your staying for under $20 (~200000 VND). The War Remnants Museum may not be everyone’s cup of tea but it’s another tourist attraction you can’t miss visiting in Vietnam. 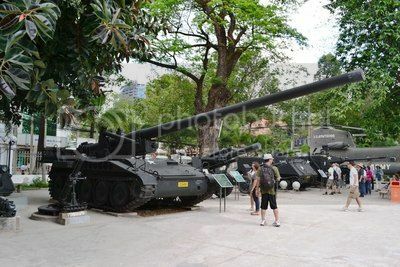 You can’t really say you’ve been to Vietnam unless you’ve visited the War Museum and learn about the Vietnam War from a Vietnamese point of view. The museum does a good job at illustrating through video and photos the horrors of war and more particularly the use of chemical warfare during the American-Vietnamese conflict. There are also dozens of artifacts on display that you can loo at such as tanks, helicopters, bomb shells and more. After visiting the War Museum, it’s also a good idea to visit the Cu Chi underground tunnels in the nearby district of Cu Chi. 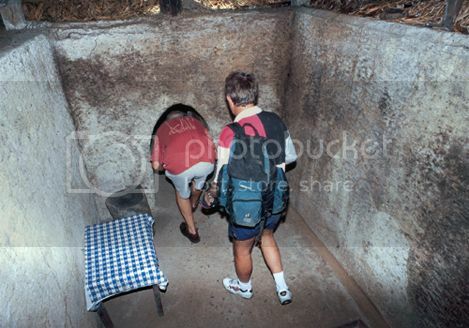 These narrow underground tunnels were built by the Vietnamese during the war and used as living quarters and hiding places from American troops. The experience of crawling through these claustrophobic, yet ingenious tunnels definitely enhances your appreciation for the struggle of Vietnamese civilians during the war! 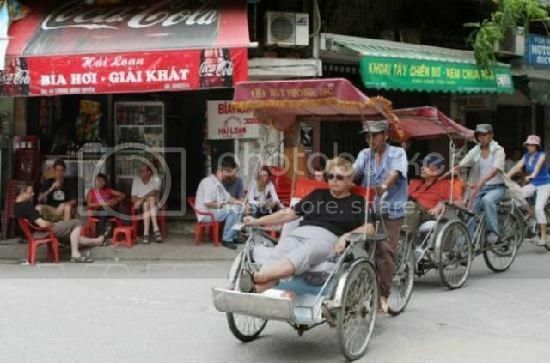 Hanoi is packed with hundreds of tourist sights and interesting places such as the Old Quarter of Hanoi, which is unarguably one of the most popular tourist attractions in Vietnam. The Old Quarter is the heart and soul of Vietnam. It’s truly a fascinating place to explore anytime of day because this part of town never sleeps and it’s bustling everywhere with shops and food vendors selling tasty delicacies. You definitely want to spend at least 3 days in the Old Quarter of Hanoi to wander the famous streets of Ma May and Hang Buom, shop at Dong Xuan market and taking a boat ride of Hoan Kiem Lake. By the way, be sure to hire a cyclo (bicycle rickshaw) or hop on a “Green Tourism electric bus” to explore the Old Quarter, your feet will love you for it! 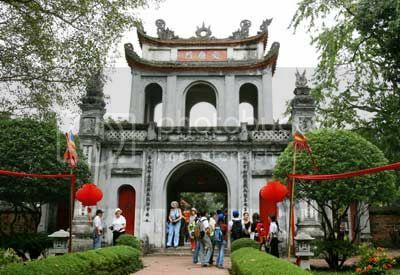 Hue Imperial City is definitely, one of the most visited historic sites in Vietnam and another tourist attraction that you must add to your itinerary of places to visit in Vietnam. The walled city of Hue spans a one-mile area and it is truly an impressive feat of architectural wonder given its size. You’re allowed to wander freely through the site and explore the rooms of the palace and the beautiful courtyard of the imperial enclosure (Purple Forbidden City). You can easily spend 3-4 hours of solid walking in the citadel, though it’s all worth it especially when doing the elephant ride of the grounds. By the way, make sure you visit the Tu Duc Tomb while in Hue. 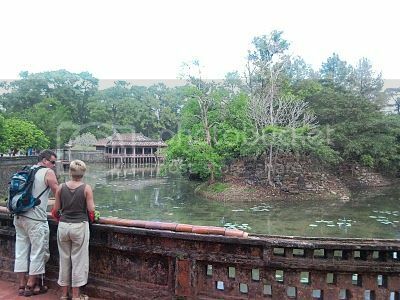 The tomb is located in Duong Xuan Thuong village (not far from the center of Hue) and it’s another sight that you have to see because of its scenic location, beautiful gardens and stunning pagodas. Spending a few hours in Vinpearl Park (Vinpearl Land) is definitely one of the most enjoyable things to do in Vietnam with kids for a fun day out. Best of all, this spectacular fun park is located in the popular beach resort town of Nha Trang, which is home to some of the best beaches in Southeast Asia. There is lots of fun stuff you can do in Vinpearl like playing water games, driving the bumper cars, play arcade games and ride the water slides. 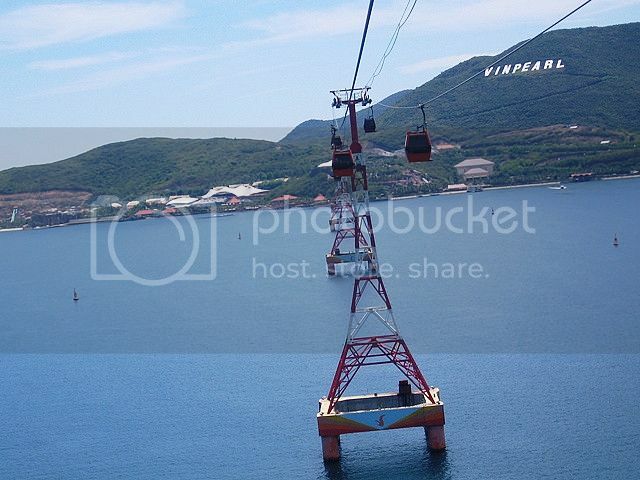 However, the coolest thing about the park is being able to ride the famous Vinpearl cable car, which is the longest in the world and offers stunning panoramic views over the entire city of Nha Trang.